Paul has been a Finance Broker since January 2003. Within this time he has built his reputation on honesty, integrity and exceptional service. As a full member of the MFAA and having attained a Diploma in Finance and Mortgage Broking Management you can be confident in both his compliance and professional development. In addition to his expertise in residential lending, Paul can also assist with commercial finance and equipment/vehicle lending. Jarrod has over 12 years of banking, finance and insurance industry experience. With Jarrod’s wealth of knowledge and experience behind him, he makes the process of securing a mortgage simple and straightforward. We are proud to have him as part of the Better Choice Team. 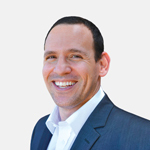 With over 10 years of Broking experience and a completion of a Bachelor of Business, Jarred has established a reputation as being very driven, committed, knowledgeable and professional. Being a Member of the MFAA and a Licenced Finance Broker for Better Choice Mortgage Services, he prides himself on Integrity, Honesty and Ethics. He ensures the service he provides is second to none. Jarred regularly keeps in contact and up to date with all of his clients and will guide you through the finance process from start to finish and beyond, ensuring your current and long term goals and objectives are achieved. 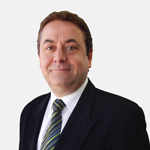 Eric has over 10 years’ experience as a mortgage broker, and over 18 years’ experience in the finance industry. With a Diploma in Financial Advising as well as a Post Graduate Certificate in Applied Finance and Investment, Eric is more than capable to assist you with your financial needs. Eric has an excellent attention to detail and customer service, which has given him a reputation of being highly committed and dedicated to every client. 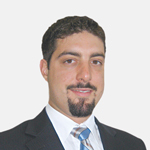 Giulio has spent the past 18 years as a Real Estate Sales Representative. Having completed his Diploma in Finance and Mortgage Broking Management, and becoming a member of the MFAA, he is now able to combine the knowledge he has gained in both fields to provide exceptional and informed service for his clients. His philosophy is that a satisfied client is his best form of advertising, so he will go the extra step to try and ensure your experience is stress free and enjoyable. His aim is to build a long term beneficial relationship. Please feel free to call for a no obligation informal chat. Marc Eadie was born and raised in Johannesburg, South Africa. He spent most of his childhood dominating the track and rugby fields but he always had a keen interest in the economy and how businesses worked. 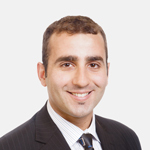 He moved to Western Australia and made his foray into the finance world by earning a degree in Accounting and Finance. He went on to work as an Auditor with a big public practice accounting firm and later on discovered there was a serious lack of young, informed and professional mortgage brokers in the W.A market . He spoke with the Directors at Better Choice Mortgage Services and the rest is history. 2 Years on and he has made a name for himself being professional, diligent and proactive when it comes to securing the best possible lending package in the timeliest of manner . 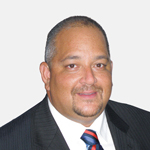 Marc especially possesses an expertise in the area of First Home Buyer finance. When he is not facilitating numerous high quality mortgages with the efficiency of a well-oiled mechanical unit, he loves getting out into nature and regularly goes running, kayaking or stand–up paddle boarding. 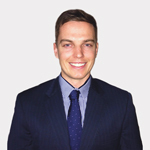 First joining the Better Choice team in 2013, Ben quickly found himself among many of the premier mortgage brokers in WA. Working alongside such highly qualified and experienced peers, instilled the principles of honesty, integrity and efficient service. Values which are conveyed to all clients. Ben has a strong background in customer service and a focus on helping home owners and investors alike reach their financial goals. Aiming to educate and ensure understanding throughout the mortgage process, from first contact, all the way to settlement and beyond. Helping you find a solution that best suits your needs and to simplify the home ownership journey. 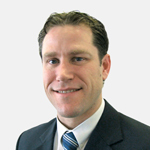 Craig is a Licensed Finance Broker and MFAA Member . Craig has over 20 years’ experience in the Finance Industry, working for Bankwest in their Consumer and Business Division as well as Westpac’s Business Division. Craig has a vast knowledge of both consumer and business lending and would be more than happy to assist you with a wide range of banking requirements. Craig’s knowledge and expertise will go a long way into helping you achieve your financial goals. 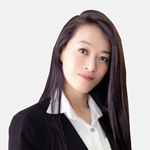 Lina Li came into the financial service industry in 2012, prior to that she was an international purchaser. With the completion of a Business subject in university, she has a diploma of Finance and Mortgage broking, Banking Services Cert IV and is full member of MFAA. She is bilingual therefore she has been in a great help with those Chinese clients to make sure they understand the loan products and processes. With her honest and efficient work attitude she has received lots of referrals from her clients. 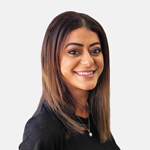 Iriny has a decade of experience within the finance industry, excelling in mortgage broking with a rapidly growing portfolio of happy clients. Her competence and high standards ensures compliance and successful outcomes, she is strongly customer focused and accountable for her due diligence and results. Always delighted to assist you for any lending or advice you need, be it residential, commercial or personal, Iriny will always deliver on performance and her passion is you and your successful outcome. Iriny thrives of finding solutions and works tirelessly to ensure client satisfaction, above all is her dedication and commitment to each and every client. When Iriny is not working she enjoys the outdoors and catching up with friends, especially her best friend Rio, her little Maltese cross Jack Russell. 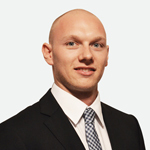 Colin is a Licensed Finance Broker and member of MFAA. 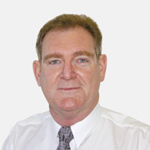 Colin has been in the finance industry for over 21 years. He has a Bachelor of Business and a Certificate in Real Estate Management. Colin enjoys working with clients to ensure they obtain the best home loan to suit their specific needs to reach their goals.